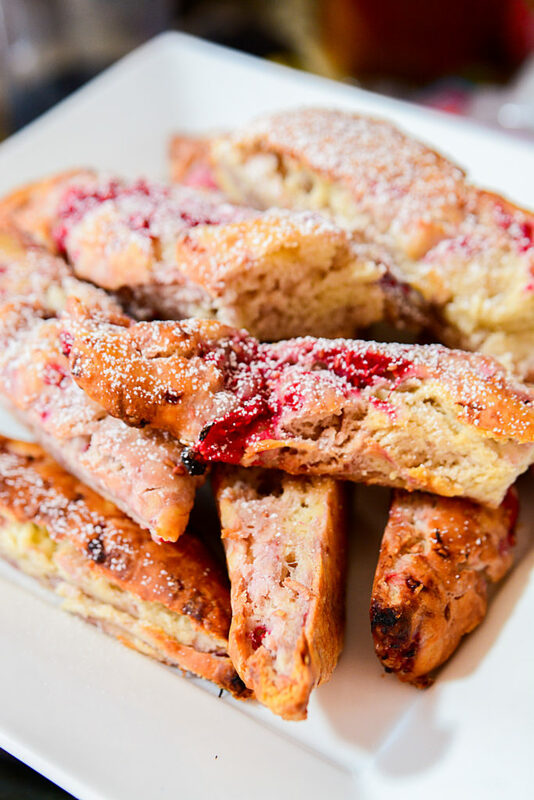 Please allow me to tell you how these cute little Raspberry Lime Scone Sticks are and just how IDEAL they are for when.. you know, sometimes, you just need a little “sumpthin’ ” during the day. So you want something kinda sweet, but not so sweet that it will rot the teeth out of your head, right? Something small, just enough to make you feel happy and content, and that you can take on the rest of the day without ripping someone’s head off in Hanger. (It’s a word!! lol). These my friend, fit. the. bill. These scone sticks have the nicest texture to them and they’re like a nice little blanket for your tummy when it’s growling, .. or .. throwing a full out temper tantrum. Pair them with a nice hot cup of your favorite tea (can you imagine raspberry tea???? YUUMMM!! ), or flavored coffee and you got it made. You can conquer the world! .. or at least feel like you can. 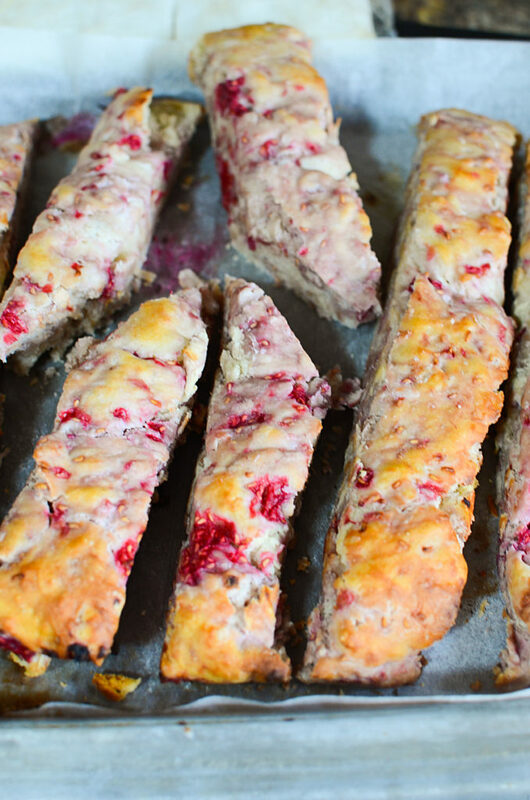 RASPBERRY SCONE STICKS: Perfect for Snacks! 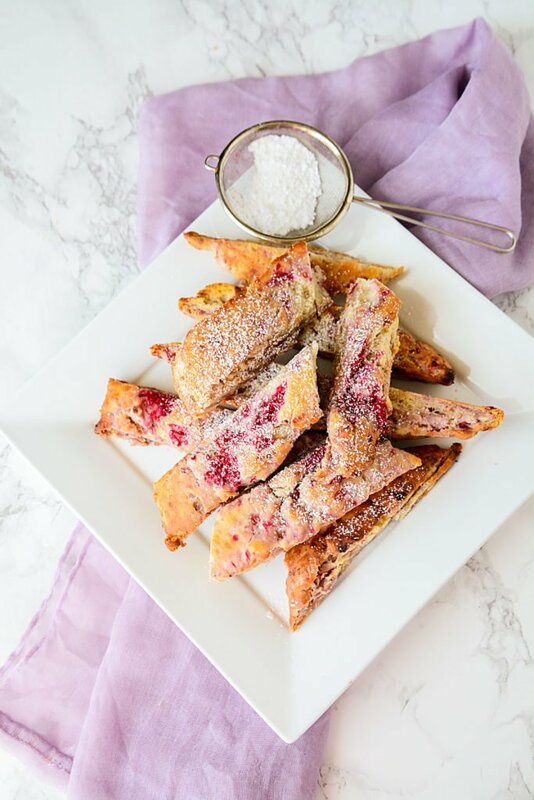 Half the work is already done for you with the addition of Bisquick, and with the fresh raspberries baked in throughout, these sweet little cuties are perfect for that snacking moment! I’ll be you could even sneak them into the kids lunches! Hey, any opportunity for more fruit and yogurt in their diet is a good one! By the way, if you’re wondering just how to purchase the PERFECT raspberries from the grocery store, check out this article I linked. 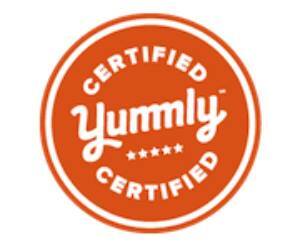 It’s a great website, and I refer (and trust!) all the information they have write about on produce! I kept the added sugar amount fairly low for these because of course, they’re dusted in confectioners (fancy dancy word for icing sugar) so that adds to the sweetness. Also, the yogurt has sugar in it as well. 3. 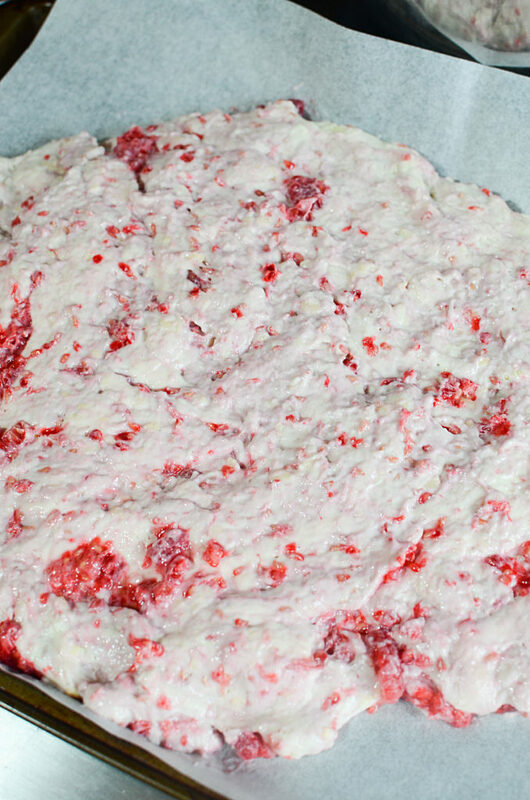 – You could use a coarser type of sugar for sprinkling on top – makes it sparkle! 4. – Change up the berry type. You could use blackberries, strawberries, currants/raisins, etc. 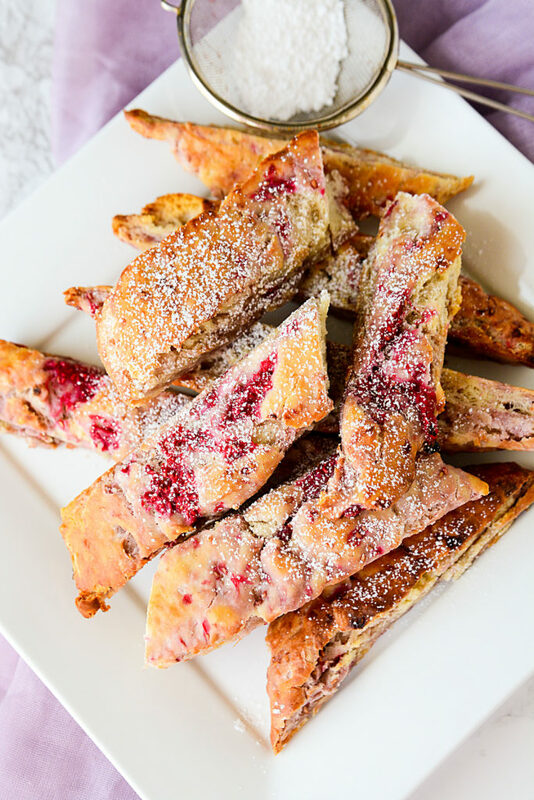 Let me know if you make these raspberry lime scone sticks and just in case your looking for other easy berry dishes, check out this Strawberry Angel Cake that Sparkles, or this crazy easy Fruit Cobbler Dessert. Hey, an idea just came to me! Wouldn’t this be amazing? Try a bit of ice cream in a bowl,.. heat the raspberry scone sticks up in the microwave, drizzle a bit of heated raspberry jelly/jam over the ice cream and use the raspberry scone sticks as your spoon!!! I’m off to try that right now! … and Yes………………you’re welcome. 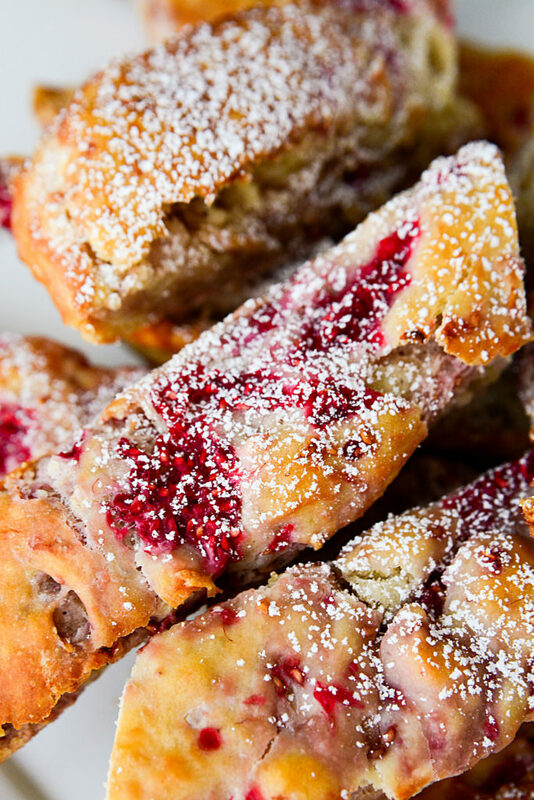 Raspberry Scone Sticks! The best hanger buster there is! Sweet, not too heavy. Just the perfect snack to bring your sanity back! Mix the yogurt, milk and sugar together. Stir until sugar is dissolved. Add the rest of the ingredients except the icing sugar. Add extra flour if the dough is a bit sticky. Bake the scone sticks for another 5 - 6 minutes or until they are baked through and golden. Upon serving, sprinkle icing sugar over the scones. Oh, yum! This sounds so good. Pinning and sharing. Thanks for sharing this recipe with us!